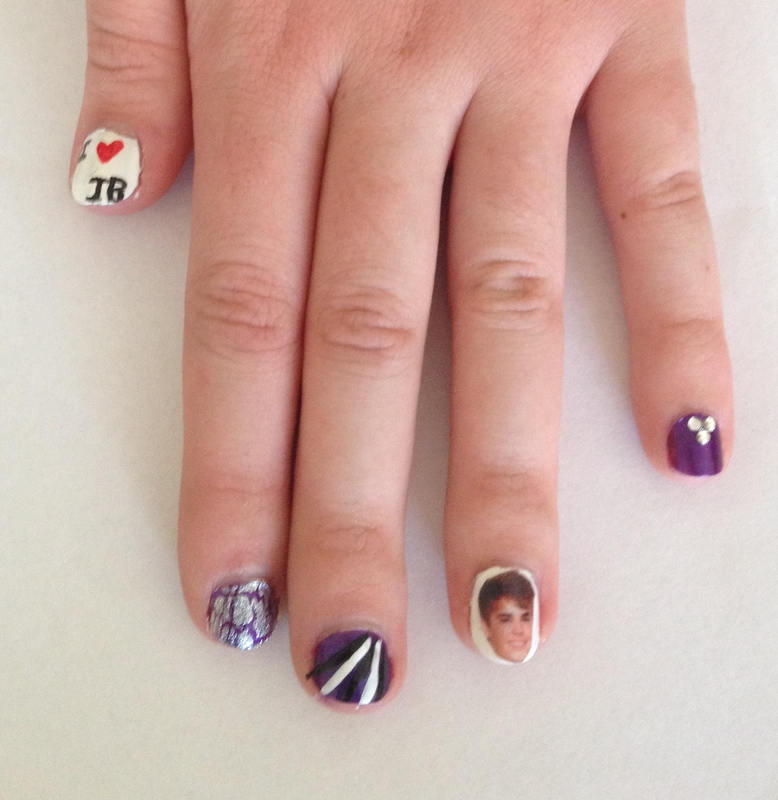 Last Wednesday, my sister went to a Justin Bieber concert. 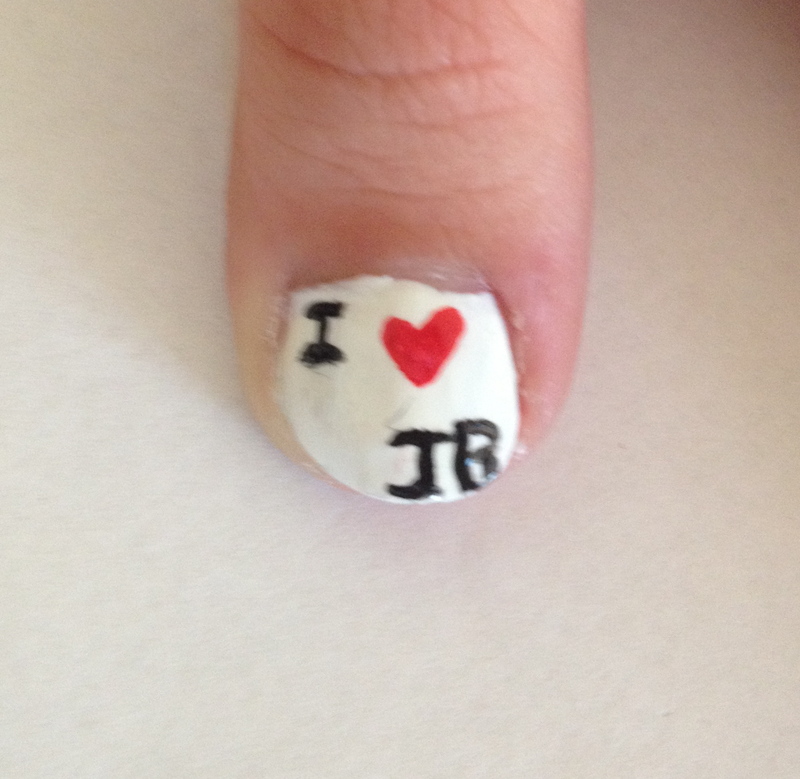 Obviously, she asked me to do her nails. My first thought? 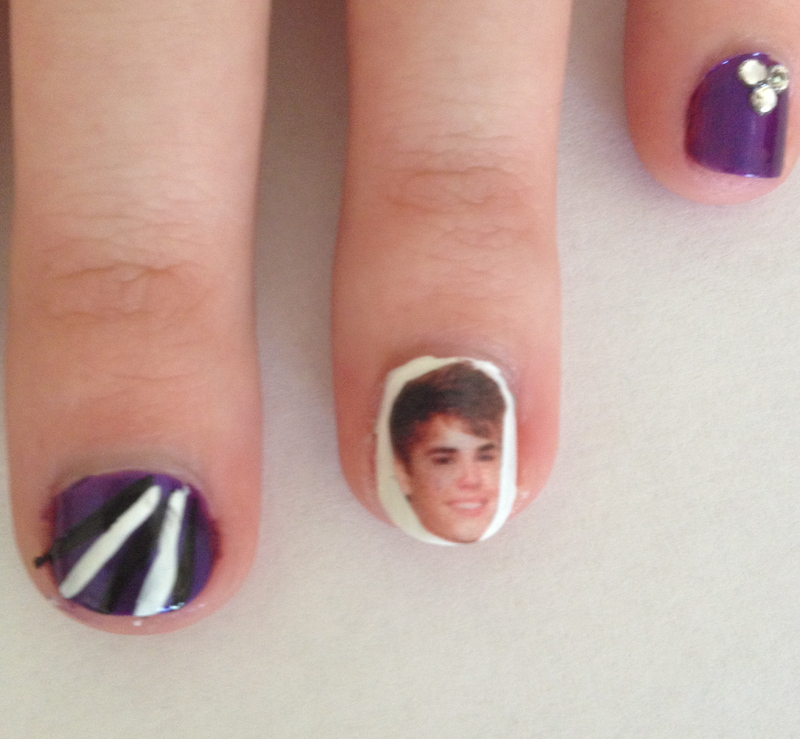 Put his face on her nails a la Katy Perry. I’m thinking I may make a tutorial for the picture-on-nail thing, is that something you would like to see? HOW ON EARTH did you manage to get his face on there?! And in such detail, too! I take it you’d be interested in a tutorial? yes on the tutorial!! I want leonardo dicaprio nails!